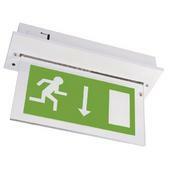 The Vale Self Contained Emergency Exit Sign is a self testing sign that use LED technology. Finished in white it has a self test operation and is designed to be flush mounted. 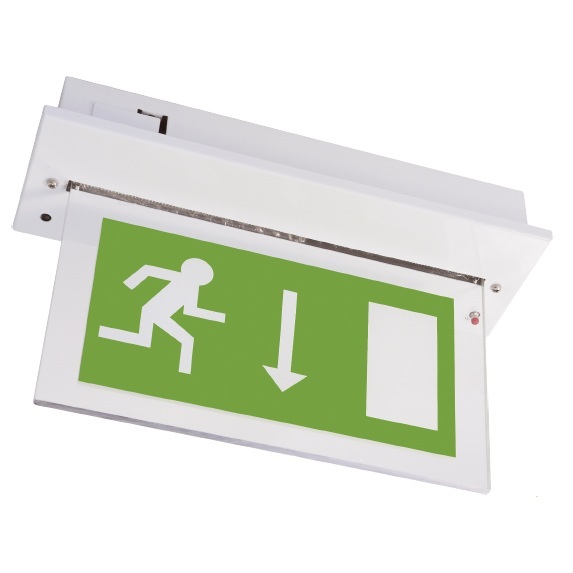 The unit is supplied with an 8mm sign blade complete with a down arrow legend which ensures even distribution of light over the surface and its aesthetically pleasing design ensures it will compliment most decorative and environmental requirements. Following the first duration test the weekly function test and the annual duration test are automatically initiated.